I am writing in response to Phil Shigekuni’s May 1 column about designating the Tuna Canyon Detention Station site a Los Angeles Historical-Cultural Monument. I am a retired professor of sociology and ethnic studies, a former Tujunga resident, and my grandfather was imprisoned at Tuna Canyon. While I respect Shigekuni’s contributions to and knowledge of the Japanese American community, it is appropriate to present a different point of view. 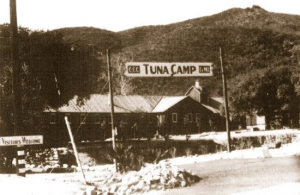 The Tuna Canyon Detention Station was originally a CCC (Civilian Conservation Corps) camp. I appreciate Shigekuni’s interest in this topic. I also agree that the mass incarceration of Japanese Americans, which included my own and my wife’s families, was a major mistake. And, I won’t argue with the need to understand differences between this and the earlier imprisonment of Japanese nationals in detention stations. However, I feel the nature of the latter is not always well understood. These “Japanese nationals” were the Issei, the first generation of Japanese Americans. The reason many, including my grandfather, had alien status at the outbreak of World War II was because of racist policies that prevented them from becoming naturalized citizens. Prior to the war, federal agencies compiled Custodial Detention Lists of Issei (and others) that they saw as potential security risks. After Dec. 7, 1941, the FBI arrested and sent them to detention facilities like Tuna Canyon. The problem is that none of these Issei were dangerous subversives. Many were fishermen, priests, Japanese language school teachers, or other community leaders. Often, Issei were on Detention Lists only because of their membership in certain Japanese community organizations. It would be difficult to argue that anti-Japanese racism did not affect the listing, arrests, and detention of these Issei. Clearly, all of this was a significant wartime error. My grandfather was a fisherman and an officer in the Compton Japanese Language School. He was arrested by the FBI on a warrant-less emergency basis less than a week before his family was removed from their San Pedro home to the Santa Anita WCCA Assembly Center. As Shigekuni points out, the 1929 Geneva Convention did deal with the detention of enemy aliens and, in contrast to the later mass incarceration of Japanese Americans, Issei detainees were given individual hearings. However, such hearings did not provide due process of law. Instead, they were used to decide whether individual Issei would be paroled to WCCA “assembly centers” (or WRA “relocation centers”) or sent to more permanent Justice or War Department internment camps. As historian Roger Daniels has written, the hearing boards were composed of citizen volunteers, not legal professionals. Detainees were not allowed to have legal counsel or entitled to know the nature of charges being made against them. In addition, the attorney general was not obligated to comply with the decisions of hearing boards. My father attended my grandfather’s hearing, and some of his recollections bring to mind the colloquial term “kangaroo court.” My grandfather was paroled to rejoin his family in Santa Anita. He was fortunate; many Issei would face additional months or years of separation from their families. I should note here that Tetsuden Kashima, in his book “Judgment Without Trial,” describes numerous violations of the Geneva Convention in detention stations and internment camps. Shigekuni is correct that the mass incarceration of Japanese Americans was a mistake. However, I agree with L.A. City Councilman Richard Alarcon and many others that detaining Issei at Tuna Canyon (and other sites) was a mistake. These mistakes did have specific differences. But both were elements of the racial injustice and tragedy of the wartime Japanese American experience. Every type of confinement of people of Japanese ancestry was wrong. In commenting about the detention of Issei like my grandfather, Shigekuni writes that “… in time of war, I cannot imagine how our government could have reacted any differently.” I respectfully disagree; it is easy to see how our government should have reacted differently. Everyone should learn more about the detention stations. Many people have never even heard of them. This is why there is a need to landmark the Tuna Canyon Detention Station site and to provide appropriate interpretive materials. I urge interested readers to write letters of support to members of the L.A. City Council. Russell Endo’s comments on Issei Detainees were revealing write-up on the early detainees. These were Issei and older Nisei who were rounded up on the eve of December 7, 8 and 9th by the FBI, Naval Intelligence, and Immigration and Naturalization Service. How did the FBI and others know who were these possible trouble makers? One large and innocent groups who were detained but are often overlooked or not written in our history, because of the embarrassment to the JACL. Navy Commander K. D. Ringle heaaded the Naval Intelligence for the West Coast District, He developed a close relationship with the leaders of the JACL and promoted the Informer Network; including the payments for informers. The biggest source of finger pointing was the various chapters of the JACL. Mike Masaoka and James Sakamoto and the Naval Intelligence had a Counter-intelligence agents in most chapters known only to the few JACL leaders . The Issei throught out the Internment Camps were afraid of the JACL and didn’t know who were these informers (Inus ) in the camps. This is one of the most incisive, well-written summaries of the injustices experienced by Issei detainees. Many people don’t know their stories. I hope the Tuna Canyon Detention Station site receives the recognition it deserves.